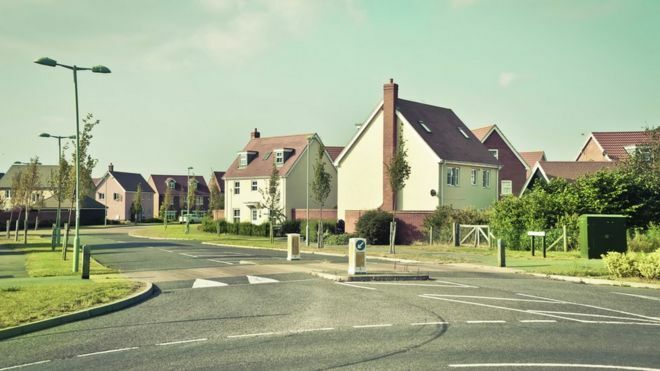 House prices in the UK rose by 6.7% in 2015, according to the Office for National Statistics (ONS) – a considerable slowdown on the previous year. In 2014 prices rose by 9.8%, according to ONS figures. Prices increased fastest in England, at 7.3%, and slowest in Scotland, where they fell 0.2% during 2015. The value of houses and flats rose by just 1% in Wales, and by 1.5% in Northern Ireland. The average price at the end of December was £288,000. The ONS figure is in the middle of a range of estimates produced by other organisations. Halifax, the UK’s largest mortgage lender, said prices rose by as much as 9.5% in 2015, while the Nationwide Building Society put the increase at just 4.5%. The Land Registry of England and Wales said the annual inflation rate was 6.4%. Separate figures show that the number of new mortgages taken out in 2015 was roughly the same as in 2014. But the Council of Mortgage Lenders said the amount being borrowed had risen from £112bn in 2014 to £118bn in 2015 – an increase of 5.3%.